As the owner of a large online Canadian travel website I often get asked a lot of questions about content management and social media marketing. The biggest question of all is where do you find the time to do it all? I have not figured out how to clone myself, but I have found that scheduling and automation of as many tasks as possible is a real time saver. So what’s my secret? 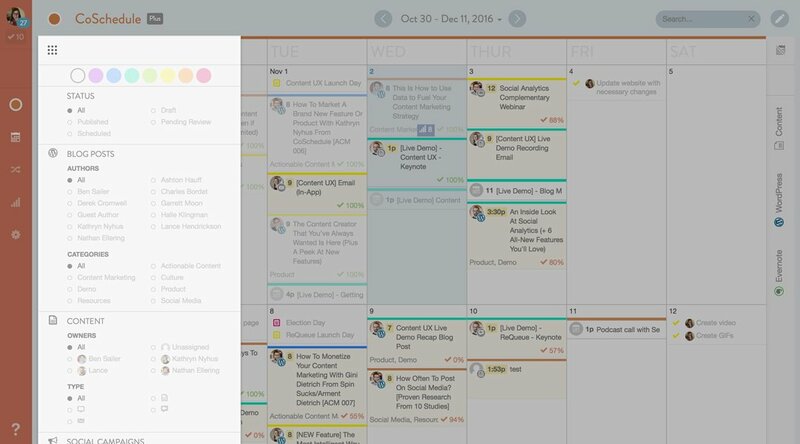 Well, it is no secret at all, the number one tool I use for scheduling posts and social media is CoSchedule. What I love about this tool is that it offers many features all set up to save me time in an all-in-one publishing platform that is integrated with my WordPress website. 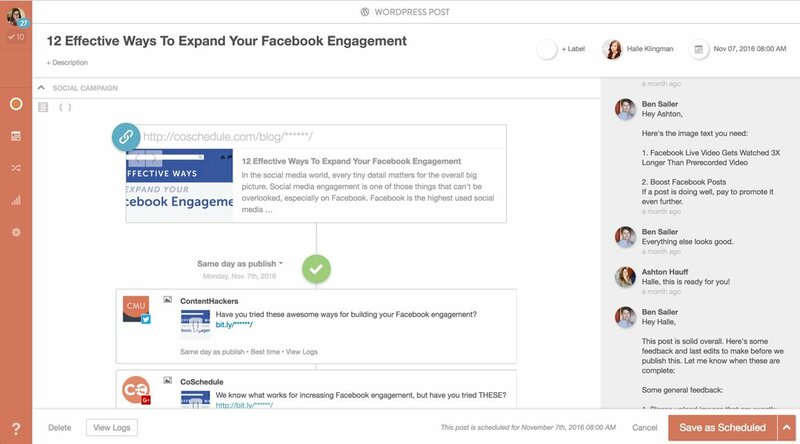 Imagine one place where you can view all your scheduled WordPress posts and social media messages. That’s the magic of the CoSchedule interface. 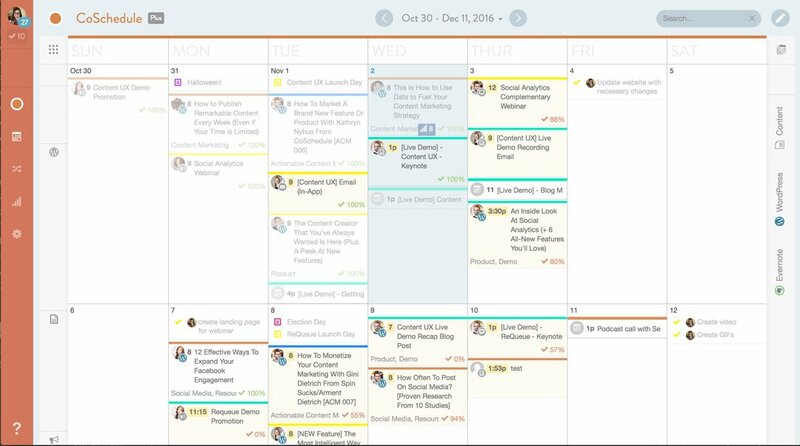 Using a plug-in on your site will enable this calendar view of all your content. If your calendar starts to get cluttered, you can filter what content you want to see on the calendar but turning authors or social media accounts on or off. 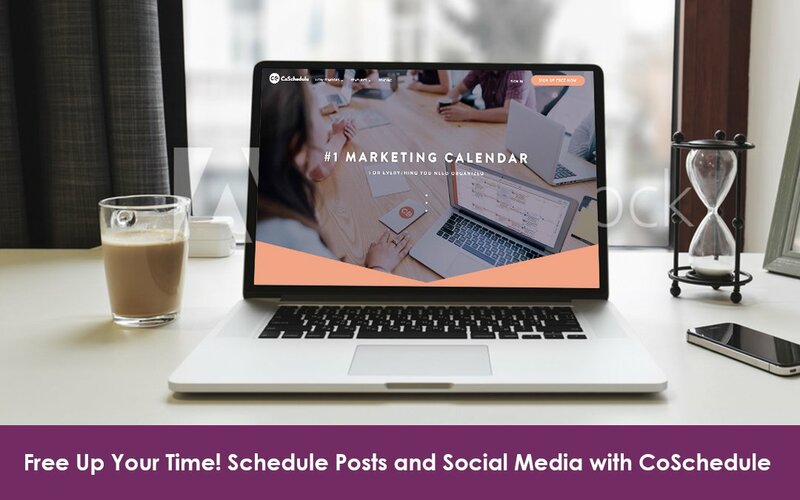 Once you have written and scheduled your blog post, CoSchedule makes it easy to schedule all your social media channels quickly. There are different CoSchedule packages available from individual bloggers to multi-media enterprise teams. Even the most basic package will save you time by adding this social media integration. Social Media Channels that can be linked include Twitter, Facebook, Google+, LinkedIn, and Pinterest. Just choose the post, click to add a social message, determine which linked social channels to publish the message and press schedule. You won’t need to copy and paste messages ever again. Use CoSchedules auto-fill in helpers to add images, titles, and hyperlinks with one button click. Create templates for new blog post marketing with all the social messages you’d like that you can reuse for each blog post you publish. All you have to do is add the hashtags, individual messages or tag other social media accounts (all right inside CoSchedule). 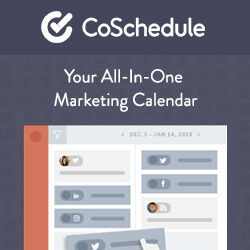 With CoSchedule managing your website content will never be simpler. Integrations with Evernote, Google Analytics, and Google docs will make taking your posts from drafts to published super easy. Use the handy built-in Headline Analyzer tool to make sure your titles grab the most readers. You can also measure the post analytics, and monitor reach across social channels. Don’t believe me? Well, CoSchedule allows you to try a 14-day free trial of any of their packages. Trust me, after 14 days of using this tool you will be hooked, so be warned. Even with the most basic account (which is what I had for years) it saved me so much time scheduling Dream Travel Magazine’s content and social media that I keep upgrading my packages for more and more features. For more information Visit CoSchedule’s Website and start your trial today. You wanted to know how I do it? Well, CoSchedule is how. But I have a few other tools under my belt which I will share soon!